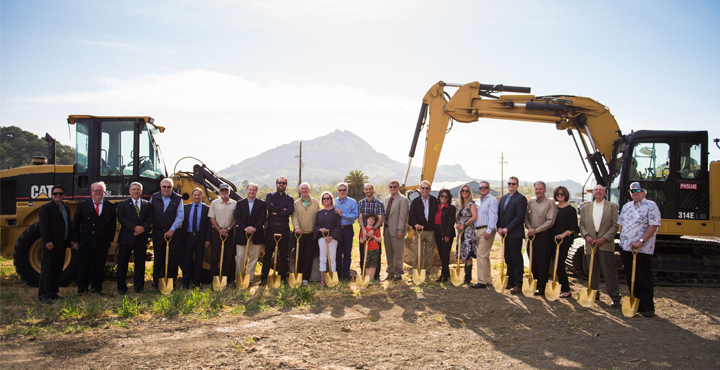 Cal Poly celebrated the groundbreaking of the new Center for Wine and Viticulture on May 4, commencing construction of a leading-edge facility that will provide space for academia, industry and the community to come together to learn, connect and collaborate. The private event was attended by key donors and supporters, as well as Cal Poly leadership, faculty, staff and students. A public event will be held once construction is complete. The project is anticipated to open in fall 2019. 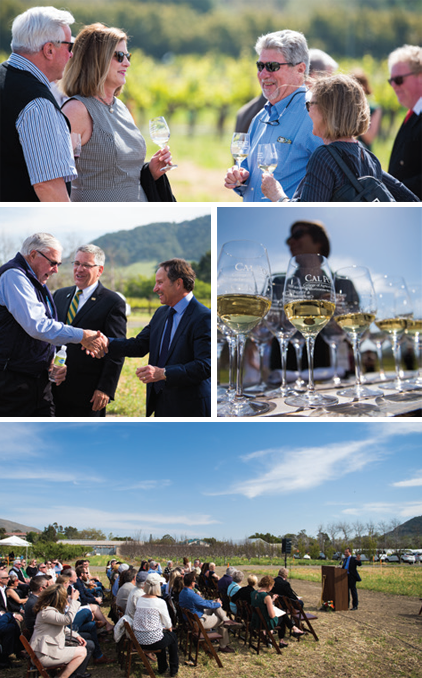 The Center for Wine and Viticulture is a public-private partnership involving significant private funding that will enhance the Wine and Viticulture program at Cal Poly for years to come. The fundraising campaign for Cal Poly’s Center for Wine and Viticulture has spanned multiple years and has raised more than $14 million to date. The Center for Wine and Viticulture will include both a 15,600-square-foot winery and a 12,000-square-foot grange hall. The buildings will include crush, fermentation, barrel, sensory, bottling, enology and viticulture rooms, as well as teaching and research labs, a bonded winery, offices, and community and industry meeting spaces. Professional partners in the project include TLCD Architecture as the executive architects, Von Raesfeld & Associates as the winery consulting architects, and JW Design & Construction as the contractor.